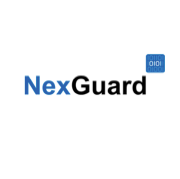 Eindhoven, The Netherlands, April 14th, 2015 – NexGuard, a Civolution company and the leading provider of forensic watermarking technology and solutions for protecting media content against illicit redistribution, today announced the integration and deployment of NexGuard™ content protection technology with European OTT service provider CHILI. This will enable CHILI to roll out session-based watermarking for their Ultra HD service to be launched in April 2015, initially on Samsung’s new 2015 Ultra HD Smart TV range. CHILI’s pay TV movie service, which is rolled out in Italy, Poland, Austria, Germany and soon in UK, provides Video On Demand movies as well as Electronic Sell Through content via a Smart TV app with an outstanding user interface. 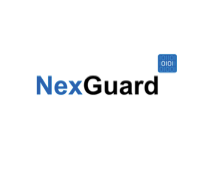 To ensure that the service complies with MovieLabs Next Generation Video and Enhanced Content Protection requirements, CHILI has integrated NexGuard™ forensic watermarking. NexGuard forensic watermarking has proved effective at reducing piracy; Hollywood studios have recognized the value of the solution since forensic watermarking was mandated for Digital Cinema 10 years go. As witnessed by the incorporation into the recent MovieLabs specifications, the studios are now also making forensic watermarking a key security requirement for any operator looking to offer their early release or UHD/4K content, which several major operators already offer or are planning to introduce in the near future. The NexGuard team will be present at NAB on booth SU3424 (Las Vegas, 13-16 April) and TV Connect (London, 28-30 April).